Due to photographer and editor laziness This Week in Cats failed to release an issue last week, so this issue covers another two weeks. 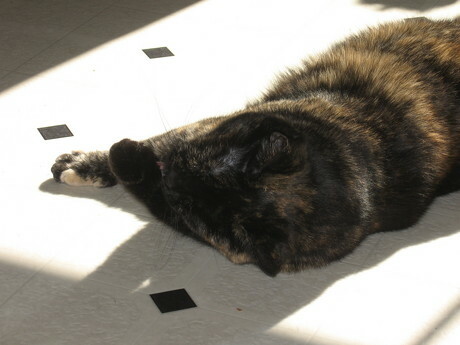 The weather has continued to alternate between warm and cold, and the cats' trend of increasing sociability and cuddliness continues in the cooling temperatures. 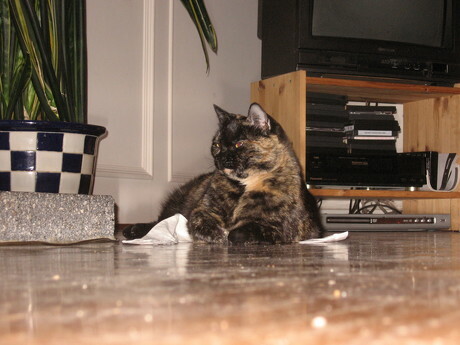 On Wednesday the 20th, the cats indicated frustration with being left alone most of the day. 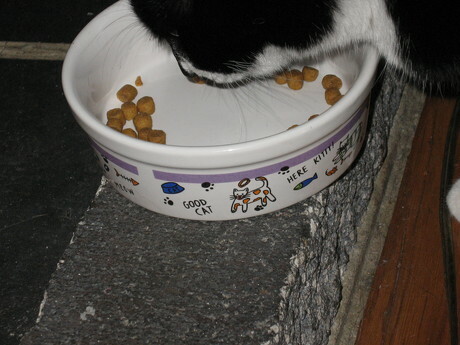 Oreo hid in the basement and did not grace the humans with her presence for some time, and Treacle protested for extra food. 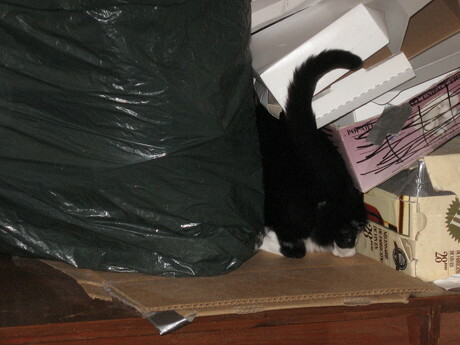 On the 24th, Oreo had a brief adventure in a pile of cardboard boxes. She has also gotten to visit the Garage at least twice, and has expressed a desire to increase the frequency of her visits. 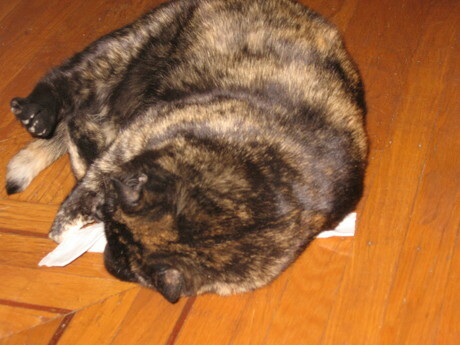 The cats have had a few scuffles, but our photographer has not yet been able to capture any. Oreo: "Bwaaaa! Nwaaaa maaaaaa maaaaaaaaaa! Bwraaaaa!" 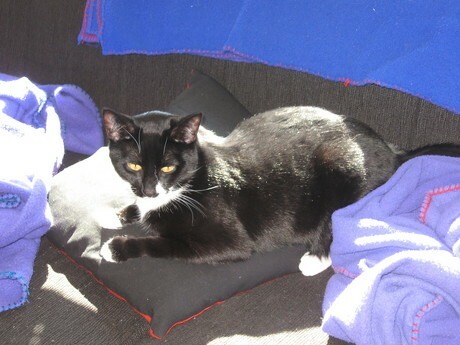 Oreo reposes on the couch. 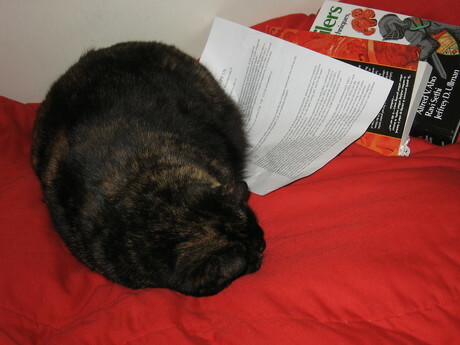 Treacle sleeps on some handy compilers homework. A cat looks like a blur. 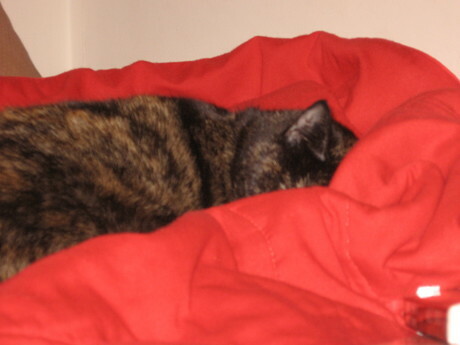 Treacle sleeps on the bed yet again. 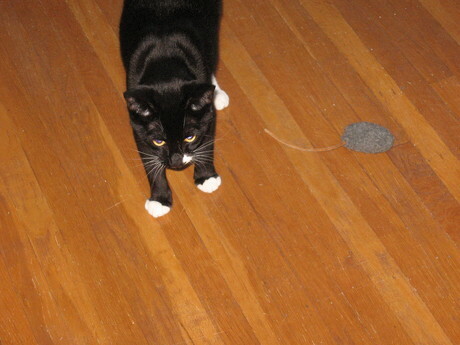 Oreo poses with a catnip mouse. 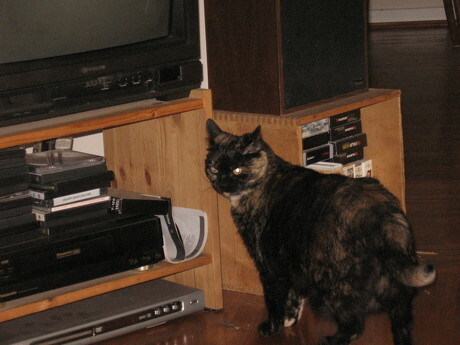 Treacle poses with the TV stand. Oreo has a bite to eat. 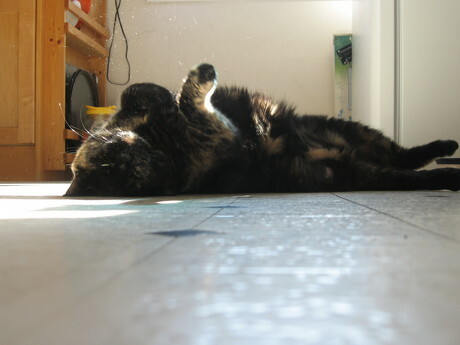 Treacle finds some sun to lie in. 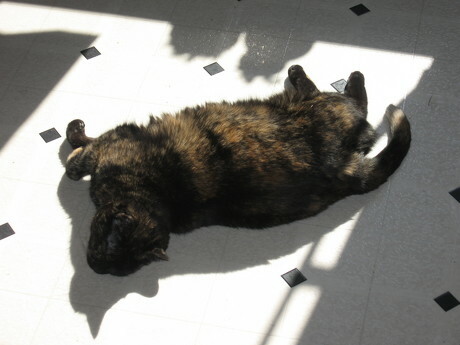 Treacle rolls around in the sun. 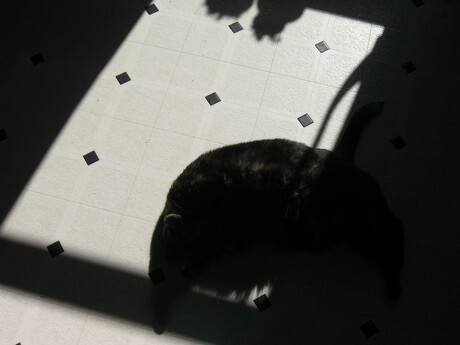 Treacle hides among the shadows. 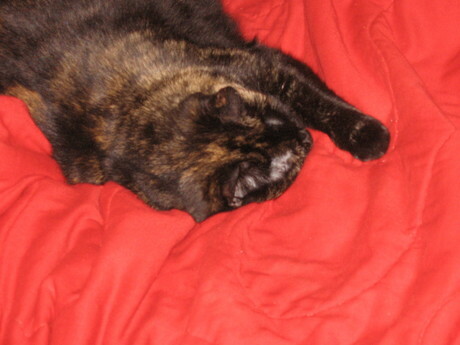 Treacle takes a moment to clean her paws. 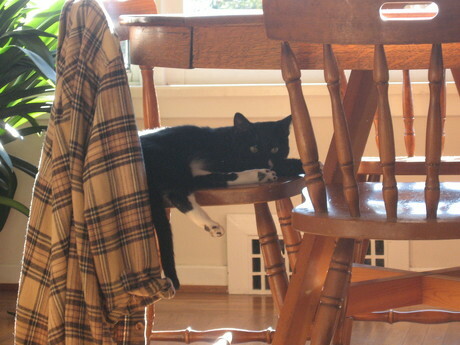 Oreo relaxes on a chair. Oreo got bored and had an adventure with a pile of boxes. Here, she explores a small space she found. 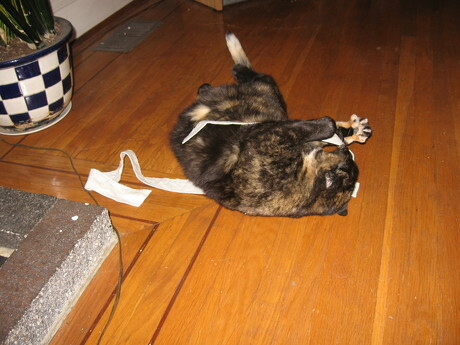 Here we see the result of her explorations. 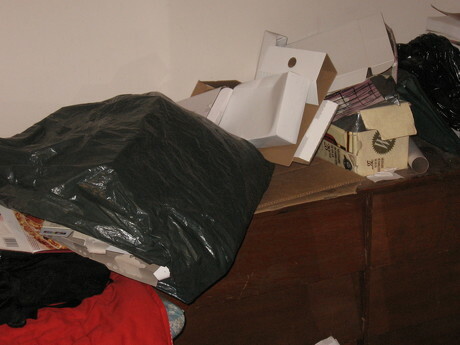 The bag was previously upright. 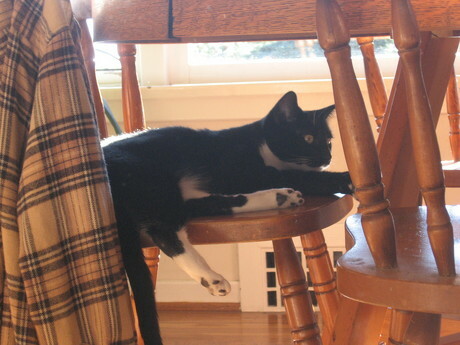 Oreo fled down the back of dresser when the bag started to fall over, and stayed away for a little while. 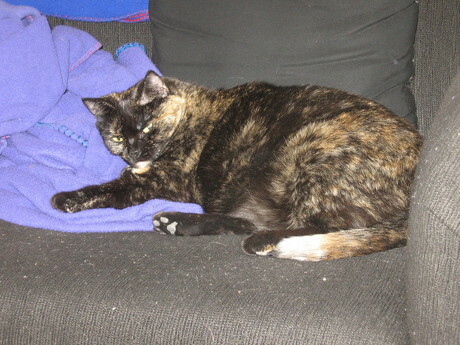 Treacle lies on the couch, looking displeased about being photographed. 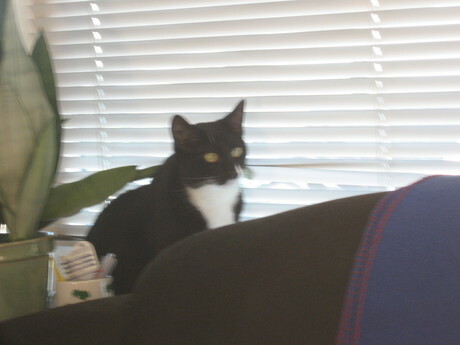 Oreo sits by the couch. 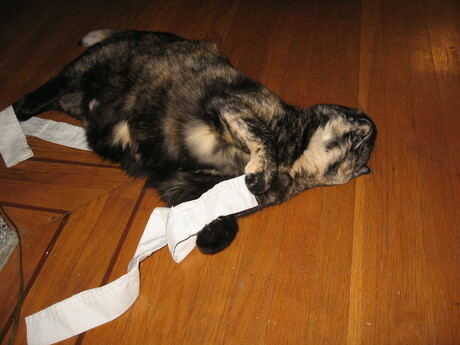 The proud hunter poses with her prey. With a little encouragement, she resumes playing with her prey. The pround hunter rolls around. 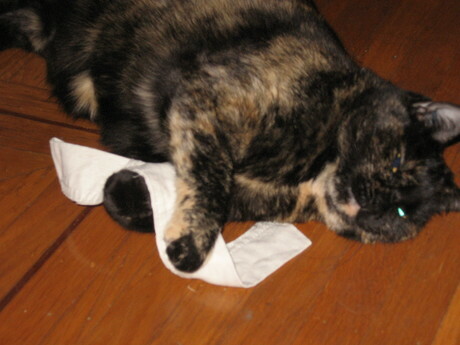 She attacks her prey ferociously. 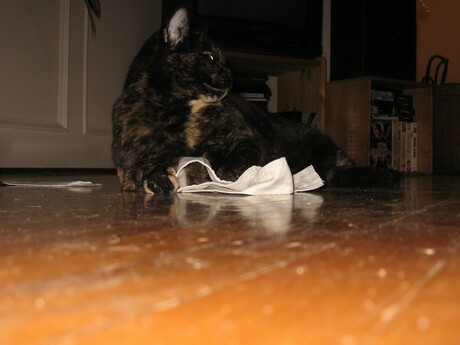 Her prey vanquished again, the proud hunter resumes posing. 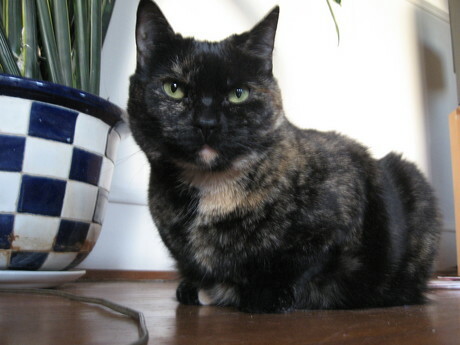 This Week in Cats gives a (approximately) weekly selection of photographs of Treacle and Oreo, the Whitmill family cats, along with commentary and descriptions of major events in their exciting lives. 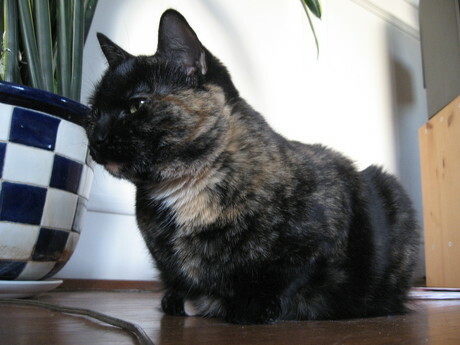 This Week in Cats also includes special features, such as the Words of Wisdom section, which relates Oreo and Treacle's own comments on the pictures and on their week. 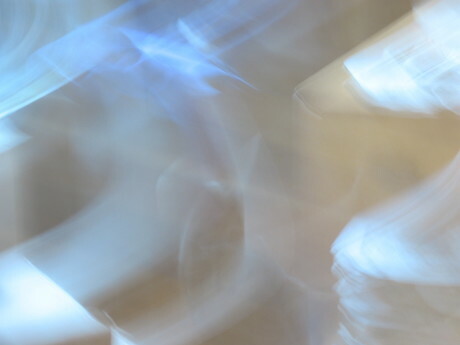 Photographs considered especially good are right aligned for quick viewing. I spend hours every day with these cats but had no idea their lives were so interesting until you began publishing This Week in Cats. I'm looking forward to issue #3!